Lenders started foreclosure against 53,514 homeowners in March, according to RealtyTrac, an increase of 11 percent from February. That brought to 152,147 the number of US homes that started down the bumpy road to foreclosure in the first quarter of 2015. For millions of homeowners, the struggle to keep their homes continues seven years after the housing bubble first burst in late 2007. 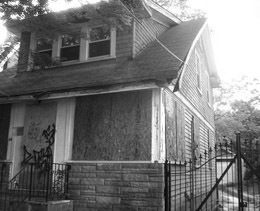 The foreclosure crisis is no longer a “crisis,’ but the new normal. “Crisis” is defined, according to Merriam-Webster, as “a difficult or dangerous situation that needs serious attention.” But attention is seriously lacking. This is from a passage in Warren’s memoir ‘A Fighting Chance’, describing her meeting with Dimon. She was opining that JP Morgan Chase may not be in compliance with proposed provisions in the Dodd-Frank financial reform legislation. It’s chilling, isn’t it, to read about such a cavalier statement from the man at the helm of a mega-bank? But Dimon was speaking the truth. His institution has been fined about $13 billion for its role in the mortgage crisis of the mid-2000s, and will pay that out in parts through 2017. The mortgage meltdown was a mere bump in the road, a slight inconvenience, for Dimon. However, for many American homeowners, it’s the combat they’re still in, many years on. And unlike Dimon, they can’t afford it. Talk about your uphill battles. In that seven years, homeowners have been waiting for serious, substantive relief from the crash in their home values that was the byproduct of the financial games that big-money institutions such as Dimon’s bank played in the years prior. Many of the new foreclosure actions were taken against people who hung on to their homes for several years despite the bottoming-out of home values and sky-high unemployment rates. These families are just now losing their grip, and sadly millions more are behind them. Banks haven’t yet begun to offer a widespread solution that is sustainable, such as the approach that American Homeowner Preservation takes: buy mortgages from banks at big discounts, then work with homeowners to reduce payments, and slash principal balances. But AHP can only buy so many mortgages, so millions of homeowners are left to fend for themselves mano-a-mano with the banks. “I think I should really write to the Guinness Book of World Records now. I’ve had 31 applications for HAMP with Wells Fargo now,” said Lainey Hashorva, describing her multi-year battle to keep her home. Banks continue to shrug off consumers’ problems with their mortgages. The Consumer Financial Protection Bureau, a federal agency created to let consumers know that the federal government has their back, reported in February that the most common mortgage-related complaints received are from homeowners unable to pay their mortgages. At least 89,000 complaints of that type have been lodged with the agency in its first two and a half years, CFPB reported. Sadly, the gasping has become status quo and many Americans can no longer hear the cries as our country is uprooted, one home and one family at a time.